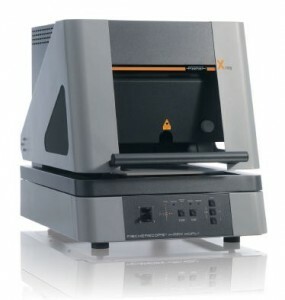 Merlin Circuit Technology is pleased to announce the purchase and installation of a Fischer XDAL 237 SDD XRF to meet the requirements and ensure compliance to the new IPC 4552A ENIG specification ( Released September 17), and to optimise the ENIG plating process. Repeatability – The measurements of gold & nickel layers are repeatable to within 2nm. Accuracy – The zero error for measurement of gold layers made on production boards was less than 1nm and measurements of the nickel layer have the same zero error, this is critical for process improvement. Reliability – Measurements on coupons & boards were shown to be independent of pad size, collimator size and operator. Features such as the auto-focus and point and click alignment contribute to this.